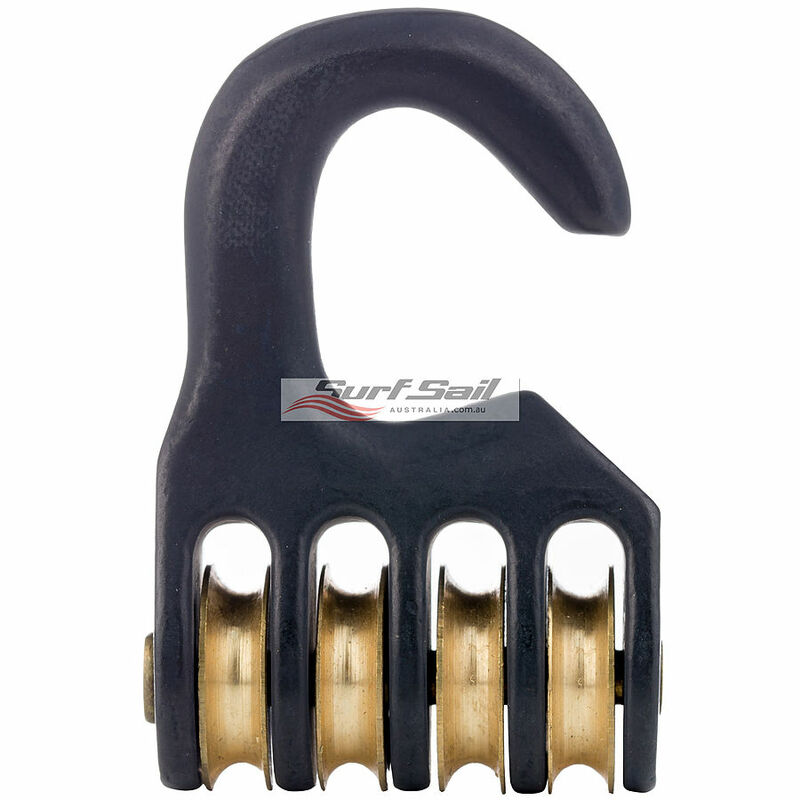 3.5	stars -	"Review for Radz Hawaii Trim Hook 4 Pulley" Dale Carter This Radz Hawaii Trim Hook 4 Pulley is the best Windsurfing Accessories I have tried. 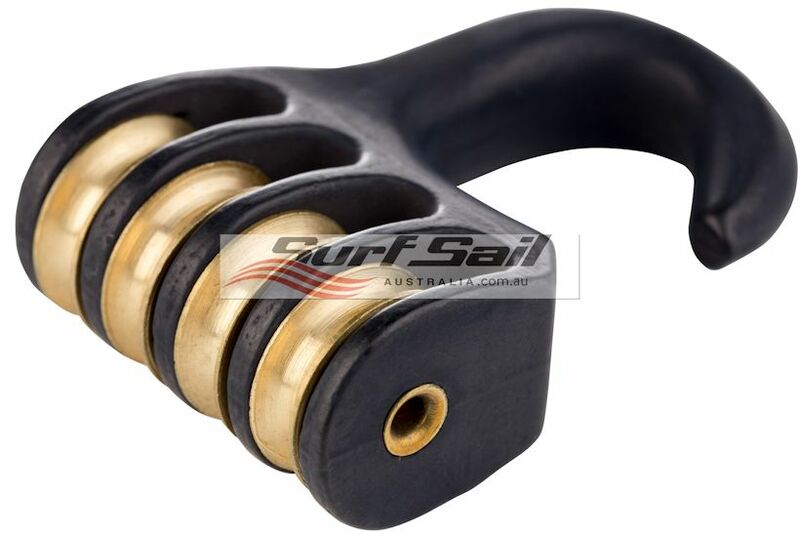 NEW larger diameter brass sheaves for better downhauling power. Fits into eyelet to make downhauling easy. Cast aluminium body with 4 brass sheaves.